March is upon us, which means spring is not far behind. In the coming weeks, we'll be deconstructing Winter Village (the last day is March 6, so hurry on over to get one last skate), installing the lawn, and doing other seasonal preparations. 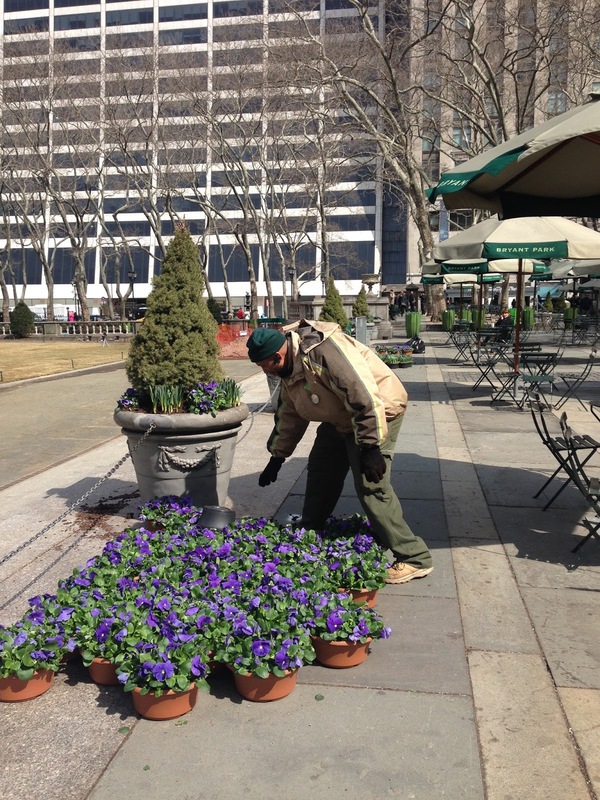 One of the important events for the park's appearance is the installation of bulbs and perennials throughout the park. Robert from the horticulture team stages blue pansies for planting last year. The Daffodil bulbs that are being planted are in addition to the nearly 100,000 bulbs already under our feet. Installation is slated for later this month, so keep an eye out for the triumphant return of color to the park. Color will return to the park shortly!